This is the final article in our series on the restaurant market; we’re discussing the locally owned businesses, delivery services, and health inspectors. Last time, we looked at everything from quick service to fine dining. Restaurants are one of the most common small, family-owned and operated businesses in the U.S. And with the rise in popularity of food trucks, this is becoming even more prevalent. The barriers to entry and start-up costs are low; it is easier than ever to be your own boss. With food trucks popping up at every corner, park, and festival, it is vital now more than ever that small businesses differentiate themselves from the crowd and noise by advertising effectively without breaking the bank. Custom hats are the perfect way to do this. They are inexpensive and highly visible. Customers will literally walk around the community, neighborhood, or event with the business’s logo on their heads. This can be especially effective for standing out at special events like music festivals where there are food vendors everywhere. A lot of local restaurants attend food festivals and enter their dishes into contests. I have a friend who owns a BBQ joint and the walls of the restaurant are covered in plaques and blue ribbons from contests all over the country. Businesses should be passing out their custom hats at these things like goldfish at a carnival. In addition to the free meal most of these challenges offer to the victors, they can receive a free hat. Losers can also get their hat for free as a consolation prize because well, free advertising. Food delivery has come so far in the past couple of years. It was not long ago that you really only had two choices if you wanted food to come straight to your door—pizza and Chinese. Now, even places like Panera Bread and McDonald’s offer delivery in certain areas. Obviously, you still want to outfit every pizza delivery boy in your territory with a logoed cap, but you can take it so much further than that. Nowadays there are apps you can log into, order from a variety of restaurants and stores (including pharmacies and liquor stores), and a delivery driver will go pick it up and bring it to your door for a small fee. You can even pay and tip your driver right in the app. Because these services are still so new, they require a lot of inexpensive yet highly visible advertising. The delivery vehicles are wrapped in logos, the drivers wear branded t-shirts and custom hats, but how can promotional products be used to create brand loyalty when new apps pop up as the market grows? Why not put a branded cap in the delivery bag of all first-time users? People have a natural inclination to feel indebted and loyal to a company that gives them a gift with staying power versus a one-time discount code. Another relatively new option is meal delivery subscriptions like Blue Apron and Hello Fresh. These membership services deliver full unprepared meals along with 100% of the pre-measured ingredients and instructions to on how to cook the food. Members choose how frequent they want their deliveries, how many people are in their family, and select what they want to receive each week out of the menu availabilities. A box is delivered with the week’s meals on ice, and members prepare the meals in the convenience of their own kitchen without ever making a trip to the grocery store. I get direct mail from these subscription delivery services all the time with things like sample recipe cards and coupon codes, but I have never received a promotional product. If I had, I may be more inclined to trial the service. Sometimes all it takes is a small token to persuade a potential customer to take that next step and register. 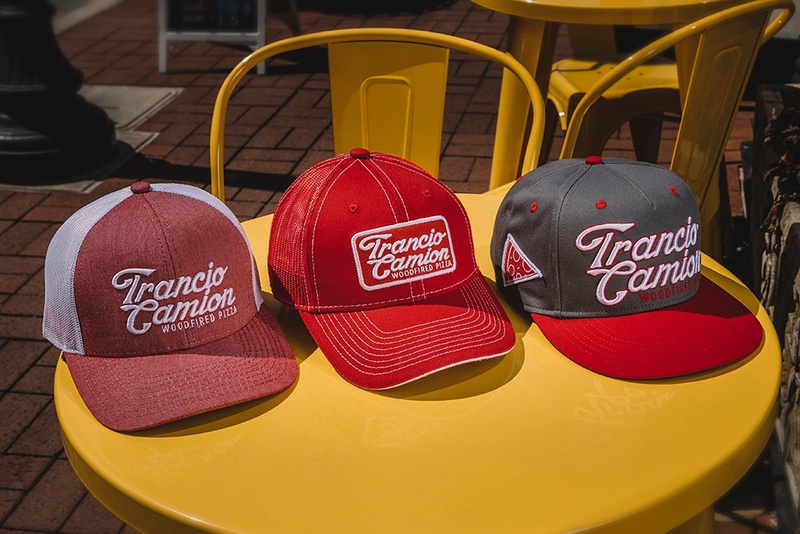 Custom hats can also be sent to new customers as part of the welcome package or existing customers to say thank you for your business. These companies are very active with Instagram influencers, so caps are another great thing for a business to send to its social media partners to include in their posts. Representatives from the Food and Drug Administration (FDA), Alcohol and Beverage Control (ABC), and health inspectors will often travel around visiting restaurants and bars to ensure they are up to code and meeting all food safety and service regulations. You can find these sources at the national, state, and even local levels. Do you have any contacts you can reach out to who can facilitate an introduction to a member of the board? Network within your territories to see if you can get in touch with a decision maker to sit down and discuss promotional product options. In 2017, restaurants accounted for 48% of the average household’s overall food expenditure. This percentage has continued to rise for decades. Your earning potential can also steadily increase once you break into the market. If you can help restaurants see how valuable promotional headwear can be in growing and maintaining their talent pool, your sales volumes are guaranteed to increase. With over a million restaurant locations in America, your promotional cap sales potential is virtually endless. Don’t forget to check out our previous article on everything from Fast Food to Fine Dining. For more information on selling caps into the restaurant industry, order your own Business Development Kit.